WHAT CAN BE DONE TO TREAT AN UNHEALTHY TOOTH? There are two modes of treatment for infected or damaged teeth: root canal therapy or tooth extraction. An infected tooth may be able to be saved as a root canal can be done to remove diseased pulp. 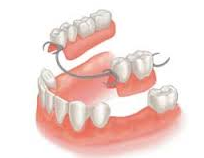 Unfortunately, if the tooth is too structurally damaged and is beyond repair the tooth will need to be removed. Root canal therapy is needed when the nerve of a tooth is affected by decay or infection. In order to save the tooth, the pulp (the living tissue inside the tooth), nerves, bacteria, and any decay are removed and the resulting space is filled with a medicated dental material which restores the tooth to its full function. Having a root canal done on a tooth is the treatment of choice to save a tooth that otherwise would die and have to be removed. Many patients believe that removing a tooth that has problems is the solution, but what is not realized is that extracting (pulling) a tooth will ultimately be more costly and cause significant problems for surrounding teeth. Good oral hygiene should always be practiced since the loss of a single tooth can have major impact upon your oral health and appearance. Although we use every measure to prevent tooth loss, there still sometimes necessary occasions when a tooth may need to be extracted. After careful examination and treatment, we may advise to have a tooth extracted. Before a tooth is removed, the we will take an x-ray in order to understand the shape and position of the tooth and surrounding bone. Based on the degree of difficulty, we may refer you to a specialized oral surgeon. For a simple extraction, we will first apply a local anaesthetic to prevent pain and discomfort. The tooth will be loosened with a tool called an elevator and then removed with dental forceps. Once the procedure is complete, the area may be closed with one or two stitches. We will then provide you with care instructions to alleviate discomfort and ensure proper healing. 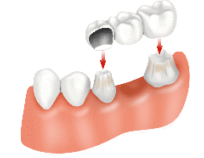 In most cases, it is important that a missing tooth be replaced as soon as possible. If not treated, the teeth surrounding the gap begin to shift inward. Since teeth use their neighbours for support, if one is missing they begin to “fall” and shift into the open spaces. This may worsen the bite because of the changes in pressure and can eventually may result in problems with the jaw such as TMJ. If the extracted tooth is not replaced, it is strongly recommended that a nightguard be worn to prevent surrounding teeth from collapsing into the space. 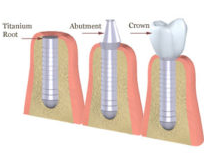 The bone that held the missing tooth will reabsorb with time, reducing the depth of bone available for future implant placement, necessitating bone grafting.